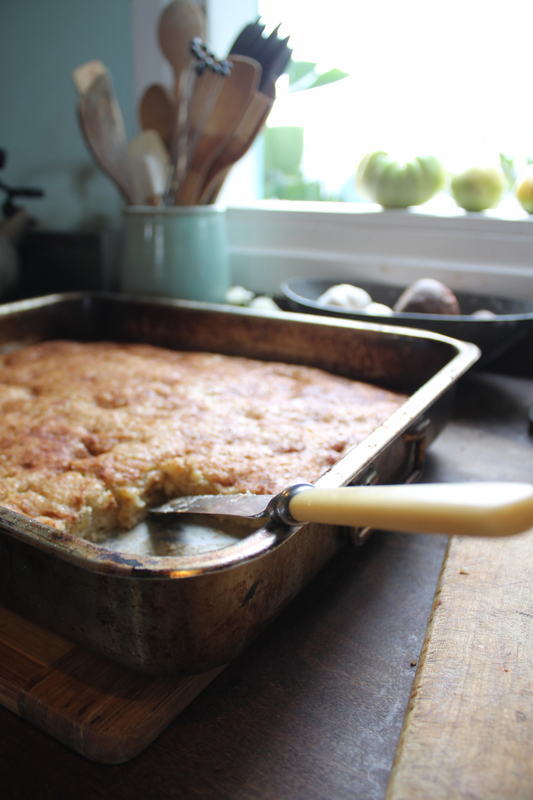 We had a bowlful of super ripe bananas and quite a few kids wanting a sweet treat – so what did we do? We baked some delicious banana bread! Who doesn’t like banana bread? 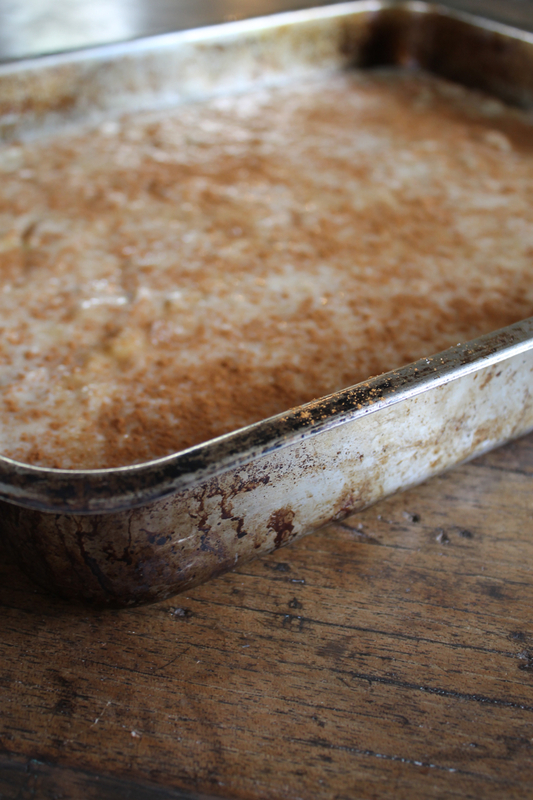 It’s easy to prepare, it can be frozen and enjoyed on another day or eaten right away. It’s perfect for breakfast or as a snack. Serve with freshly whipped cream, butter or simply on its’ own. Banana bread is also great for picnics, traveling (think muffins or thick slabs) or given as a gift – who wouldn’t love to receive a loaf of freshly baked banana bread? 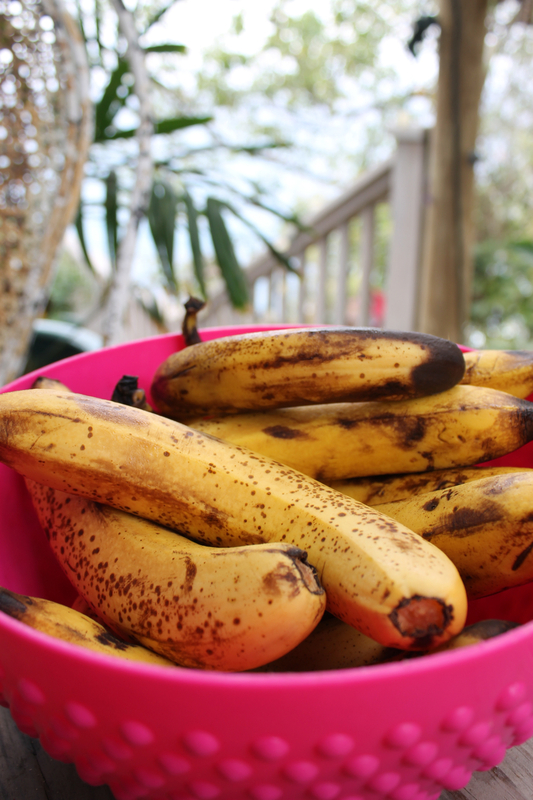 Also, if your short on time, but have some overly ripe bananas – don’t throw them away, simply peel and freeze. Frozen ripe bananas work great for banana bread too! 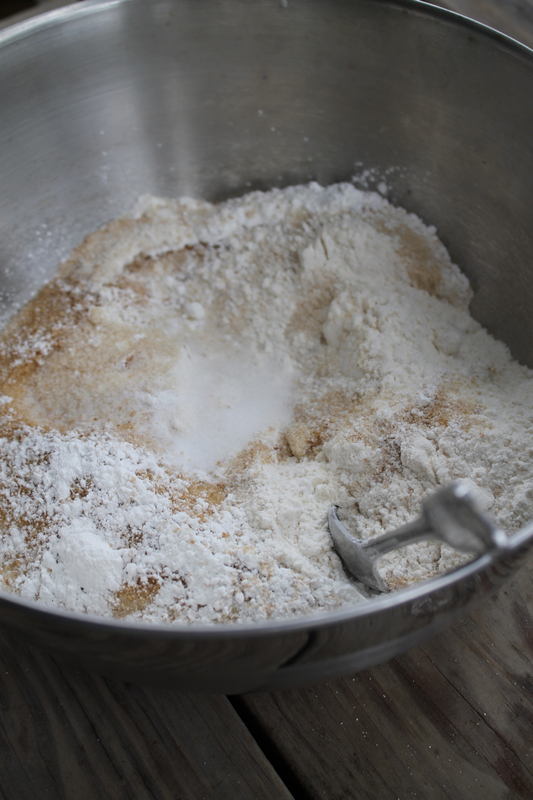 Combine dry ingredients in large bowl. 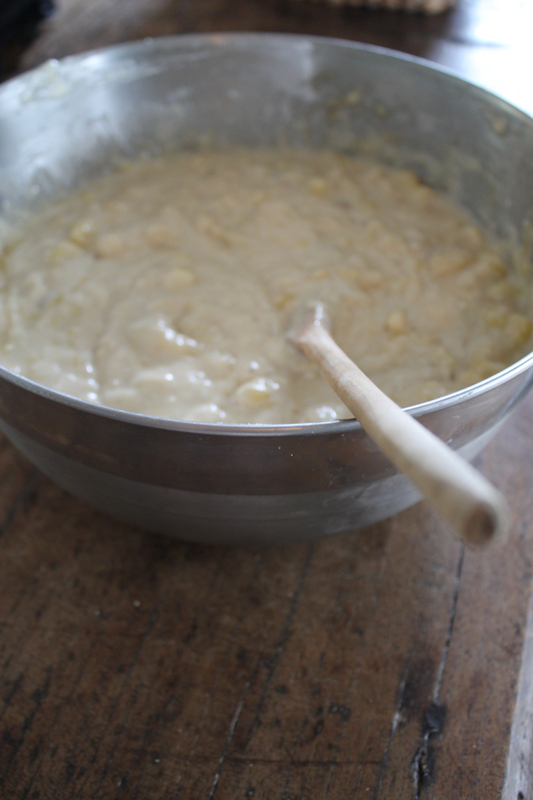 Using a wooden spoon mix melted butter and vanilla with bananas, then add to dry ingredients just until moistened. 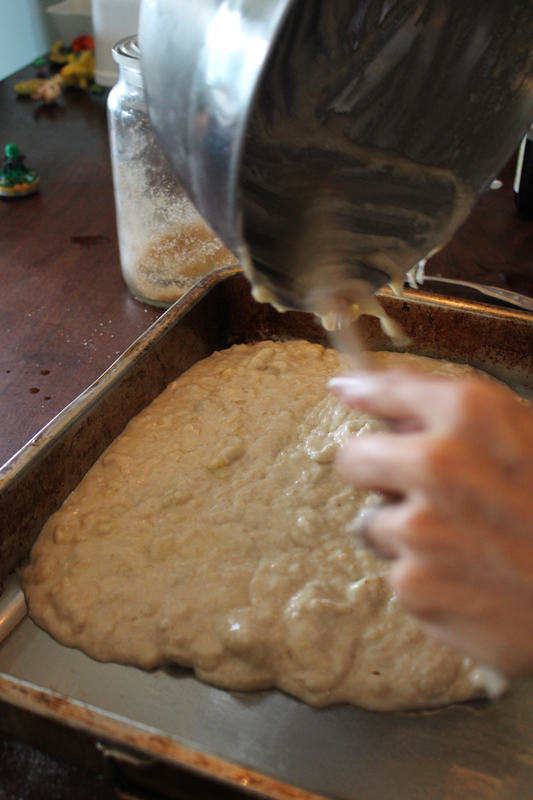 pour into buttered loaf pan. Bake at 350F for one hour. Cool on rack. Slice and serve. This entry was posted in baking recipes, eating, simplicity and tagged baking, banana bread, budget recipes, family, food, photography, quick breads, ripe bananas, simplicity by ripe red berries. Bookmark the permalink.